More an acquired taste than a mainstream sensation, John Mayall nonetheless merits mention in the annals of pop music’s most important artists. By dedicating his efforts to the pursuit of everything blues, Mayall eschewed the trappings of British Invasion era rock and single handedly crafted a genre all for himself. A gifted multi instrumentalist and experimenter as well as a demanding taskmaster, Mayall looked to American blues for inspiration while forging an eclectic brand of music, taking the blues explorations of the Yardbirds, Animals, and early Rolling Stones to far greater heights. Throughout his most creative period of the ‘60s, Mayall fronted an ever-changing roster of skilled players known as the Bluesbreakers. A veritable who’s who of budding English artists, Mayall’s band served as a formidable training ground for the likes of Eric Clapton among others. 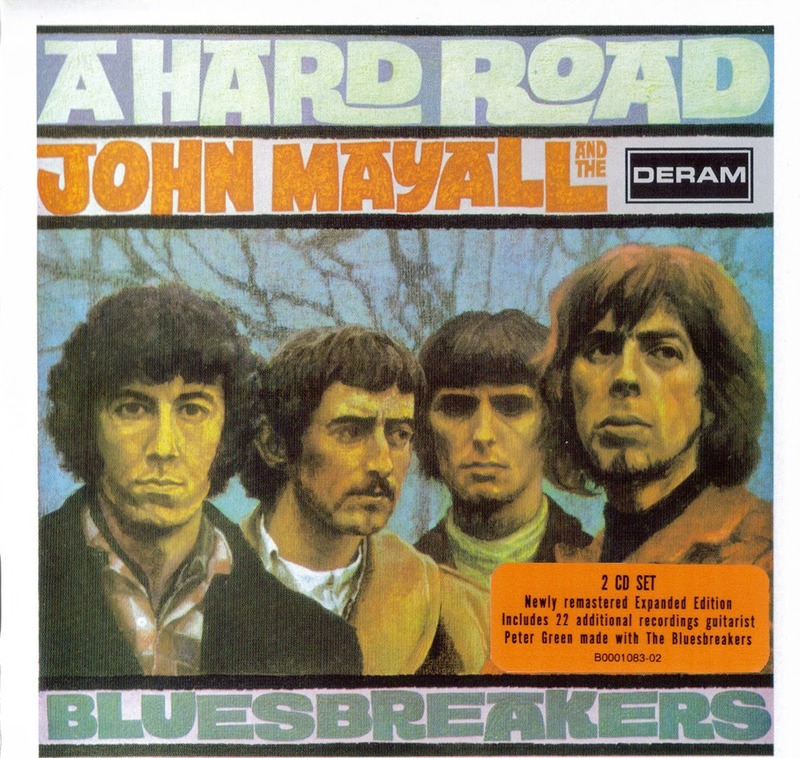 After Clapton’s departure in 1966, Mayall recruited the gifted Peter Green to fill the spot and recorded the album A Hard Road. Some would argue that Green, not Clapton, was the premier young guitarist of the day; with an additional 22 bonus tracks to enjoy, the newly remastered twin disc package lends ample support to that premise. Mayall’s ability to attract and challenge talented musicians was legendary, as A Hard Road’s lineup can attest. Backing Mayall and Green are pre-Fleetwood Mac bassist John McVie and drummer Aynsley Dunbar. Interestingly, as Green was often less heralded than his contemporaries in British music circles, so too was Dunbar, frequently overshadowed by the likes of Ginger Baker, Keith Moon, and Mitch Mitchell. Popular opinion aside, this incarnation of the Bluesbreakers was an impressive lot. The 14 tracks from the original album blend Mayall’s original compositions with several noteworthy covers, (from Freddie King, Elmore James, and Willie Cobb), and a pair of Green’s own songs which allow the guitarist to shine. As strong as this material is, the true value of the remastered A Hard Road comes by way of the second disc. Ranging from several Mayall-less recordings by Green, McVie and Dunbar, to a series of songs featuring Paul Butterfield, the 17 tracks are a vividly painted canvas of blues innovation. Also included is a pair of 1967 offerings with Mick Fleetwood on drums, and a single 1968 effort highlighted by Green trading guitar licks with future Rolling Stone Mick Taylor. 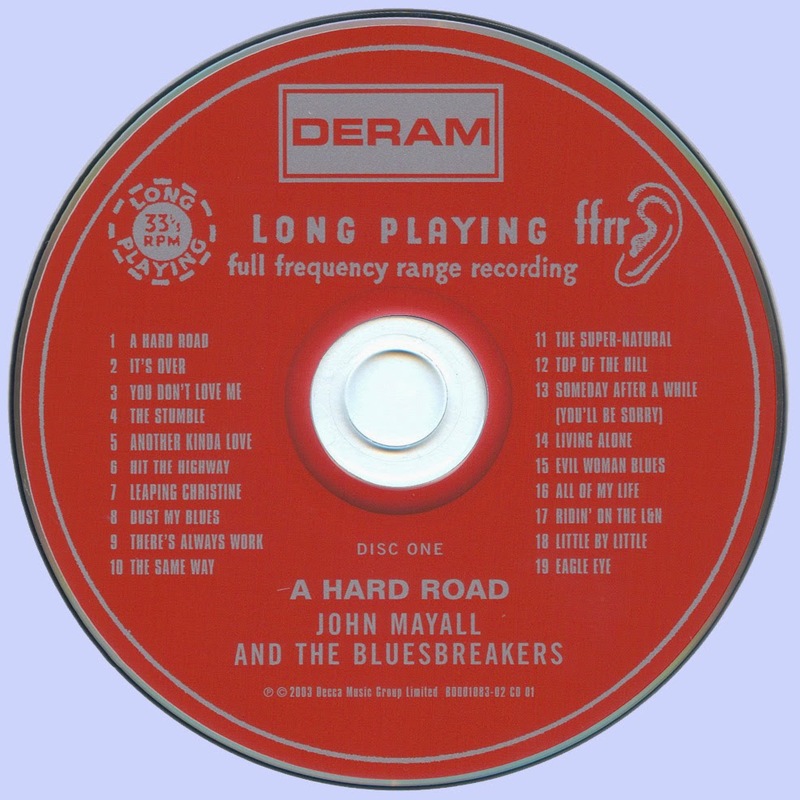 As with the first disc, original numbers sit comfortably alongside assorted blues covers, as Mayall alternates between vocals, guitar and organ, while Green displays his understated fret board style. Despite his extensive resume, Mayall’s A Hard Road serves as a crowning moment in a lengthy career, as it was recorded at the peak of his British Blues creative sensibilities. Additionally, it puts a definitive face on the enigmatic Green, whose potential was never fully realized as a premier guitarist. While their respective levels of greatness can be argued, there is no denying that Mayall and Green came together for a brief time and created some powerful material in each other’s company. 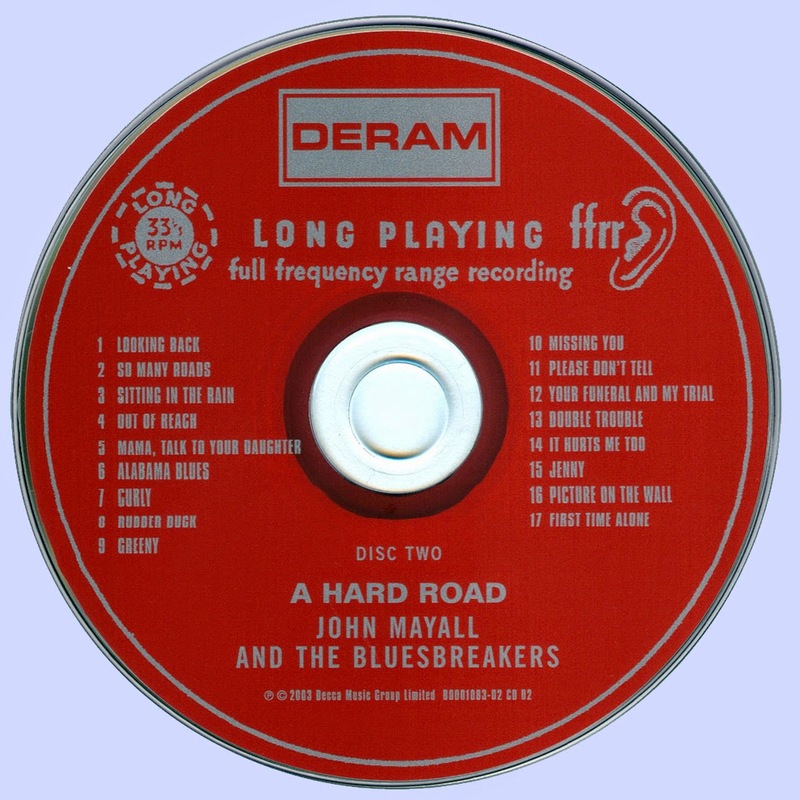 For those who enjoy Brit infused blues and boast a keen appreciation for musical uniqueness, Mayall and his band of merry men fill the bill quite nicely, as the remastered double disc A Hard Road collection is a worthwhile listening pleasure.